Twin Spin is one of the most popular NetEnt slots, and many players were delighted when the sequel, called Twin Spin Deluxe, was announced. Now you can play the anticipated slot at Royal Panda, with a chance of winning some extra cash on top! The top 10 players get a share of the cash prize pool! Play the game with real cash in order to qualify, and the cool thing is that everyone have the same winning chances - it doesn’t matter how small or big you bet. There are a total of 10 winners, and the top prize is £500 cash. Are you lucky enough to take down the grand prize? Keep track of the leaderboard on the promotion page at Royal Panda to follow your standings. The tournament runs from 12th to 14th of January, and you can read the full competition rules at Royal Panda. Don’t forget about your weekly reload bonus at Royal Panda! Every Friday, the casino treats all of their players to an excellent 50% bamboo bonus up to £150. 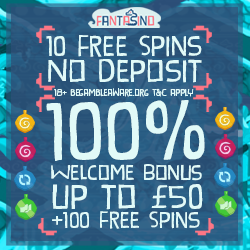 Make a deposit of £300 to maximise the bonus, and check out the excellent selection of slots in the casino. 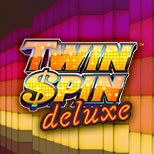 Why not use the extra cash to warm up to the weekend’s Twin Spin Deluxe tournament? No matter what you choose to do with the bonus, it will supercharge your casino action and give you the perfect start to the weekend! Visit the deposit page where you will find the bamboo bonus every Friday. Just activate it, and the bonus will automatically be added to your deposit. The bonus is available every Friday for now, so come back next week to claim it again! Note that this bonus has a wagering requirement of x35, and you can read the full bonus terms at Royal Panda.